The fine folks over at Lumina Clothing were kind enough to offer us a few pieces from their latest collection for a Dandy Test Drive. A North Carolina-based company, Lumina is dedicated to producing quality, upscale-casual clothing made entirely in the USA. The pieces that piqued our interest the most were these very Dandy neck ties and their window pane poplin shirt. The ties are fantastic. The Scotland Tie is a great all season tie, but is particularly Dandy during the Fall/Winter months and pairs perfectly with your favorite tweed blazer or glass of scotch. The Lejeune Tie (named after the military base in North Carolina) is your classic #menswear tie with a perfectly washed camo fabric and navy lining. It goes perfect with any outfit, especially with a pair of selvedge denim jeans and wingtips. All ties are $48. The Poplin Shirt was nice, but not as impressive as the ties. A fine shirt for the upcoming warmer days (if they ever get here), the construction was solid but the shirt seemed to lack any heft and felt like it needed more backing in the collar and cuffs. Subtle details like the contrast stitching in the buttons were a nice touch, and the fabric had a nice soft feel to it… I just wanted more. 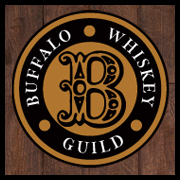 Thankfully, there are plenty of other shirts to choose from on their website, and all are reasonably priced at $84. 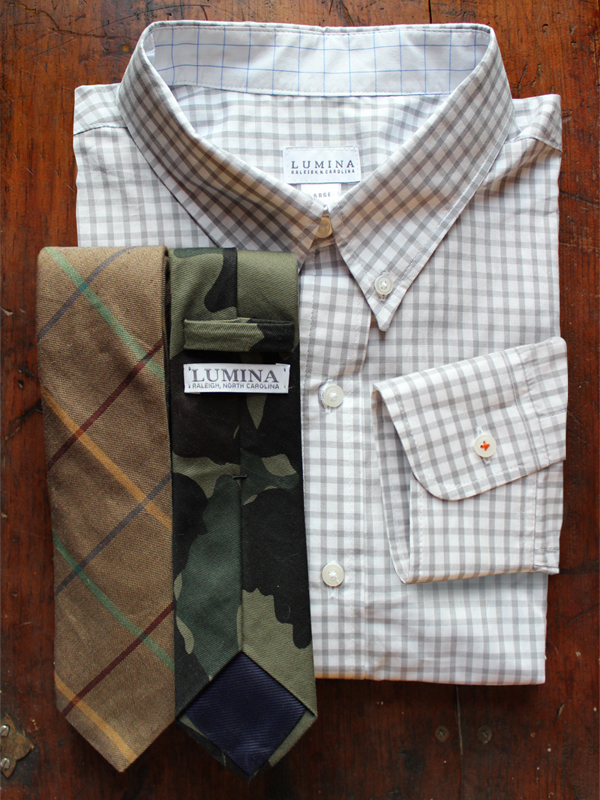 Lumina also offers several bow ties, trousers, bags, belts and other accessories all made in the USA. 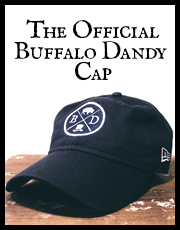 Check out their site and get a jump on your Spring wardrobe.